JOIN US TO HELP UP TO 1,7 MILLION CHILDREN FIGHT AGAINST AVOIDABLE BLINDNESS! L’OCCITANE regularly sells new solidarity products, the profits* of which are dedicated to fighting avoidable blindness. The Foundation works with NGO worldwide to eliminate pathologies and reduce the cases of visual impairment. So far we’ve reached 8 million beneficiaries around the world... and we’re not done yet. 1 in 3 children under the age of 5 has a vitamin A deficiency, which is one of the leading causes of childhood blindness. 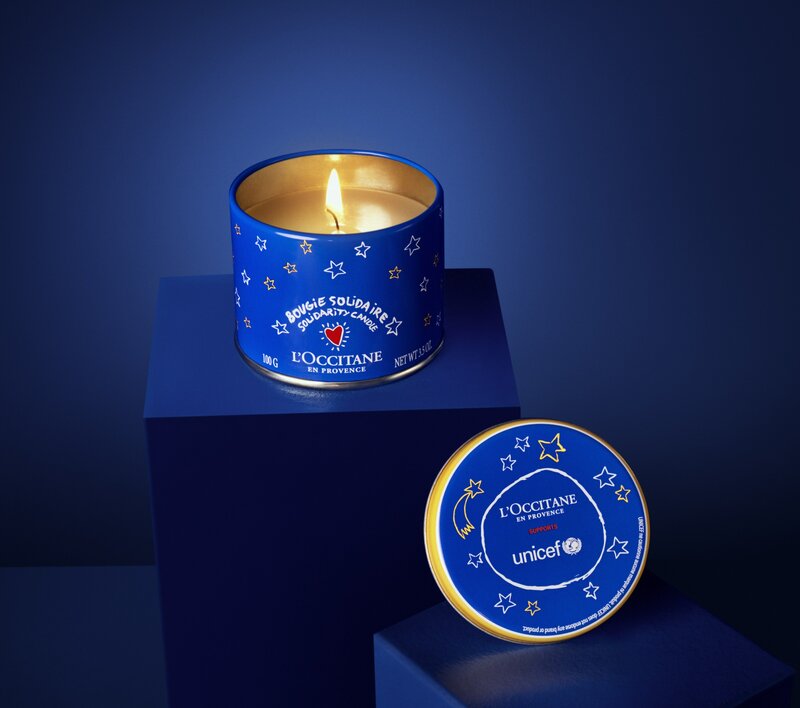 L’OCCITANE believes every child deserves to see the world with clear eyes, which is why we’re joining forces with UNICEF for a future where childhood blindness can be prevented. Starting October 2018 and for the whole Holiday period, you can find the solidarity candle in stores and online, with all the profits* supporting UNICEF’s international vitamin A supplementation programs. *Sales price in store minus taxes, transport and production costs. **This claim is calculated based on the average total cost, including delivery, to provide Vitamin A supplementation for one child in Asia or sub-Saharan Africa for one year. The price of Vitamin A supplementation may vary depending on country specific operations. Vitamin A is essential for immune system. UNICEF does not endorse any company, brand or product.